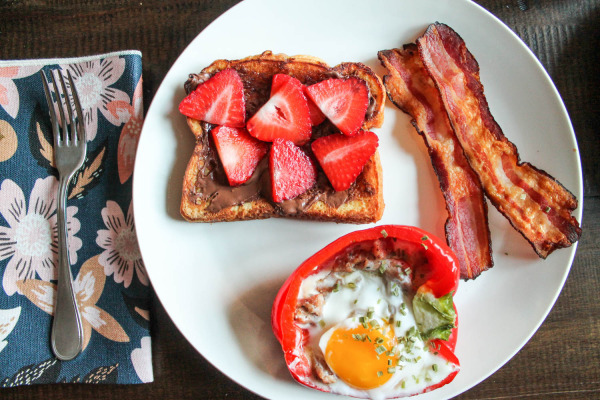 This Strawberry Nutella French Toast made with soft buttery brioche bread is the closest you can get to eating dessert for breakfast without actually eating leftover dessert for breakfast. 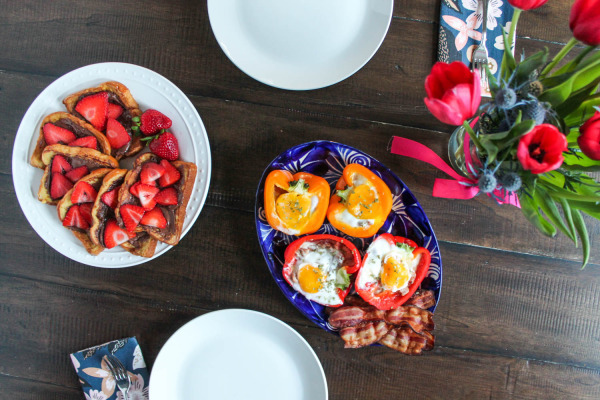 It’s the perfect special occasion brunch, and it would be a nice addition to your Mother’s Day menu. 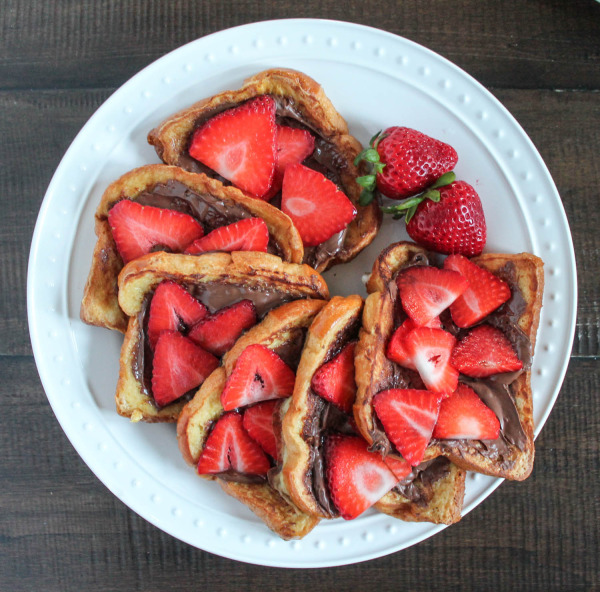 I absolutely love the flavor combination of nutella and strawberries, and the brioche french toast is almost cake-like. 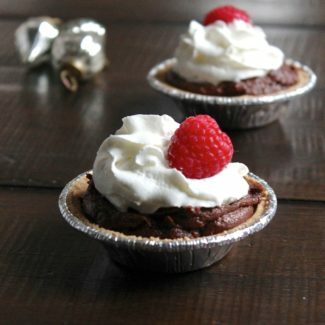 While I am a fan of strawberries and nutella, you can opt to use raspberries or bananas instead. 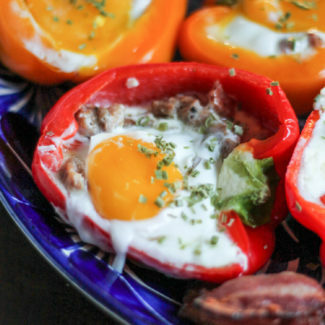 I love to serve both sweet and savory options for brunch, so I also made bell peppers stuffed with sausage, cheddar, and eggs – that recipe is coming your way soon. Heat your oven to 200 degrees. Then, in a shallow bowl, whisk the eggs, milk, vanilla,and sugar together. Begin heating a skillet over medium low heat. Brioche is delicate and browns quickly, so it is better to keep the heat low. Add just enough butter to coat the skillet. 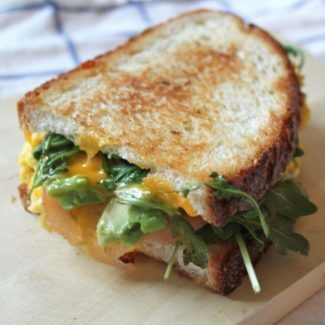 Submerge individual slices of brioche in the egg mixture and add them to the skillet. 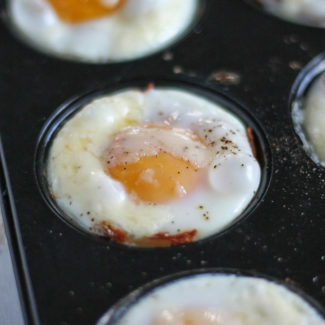 Just dunk as many slices as will fit in the skillet. 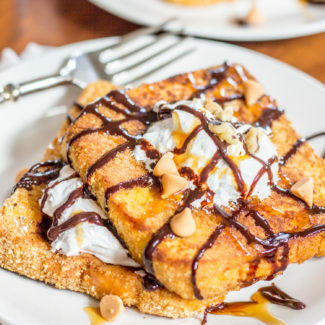 You will probably need to make the french toast in a few batches. After about 3 minutes the first side of the french toast should have browned, and it will be ready to be flipped. Add a touch more butter to the skillet and flip the slices of french toast. 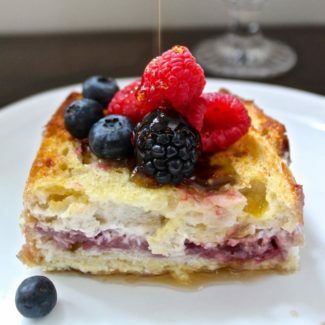 Place the french toast in the oven to keep warm while you prepare the next batches of french toast. 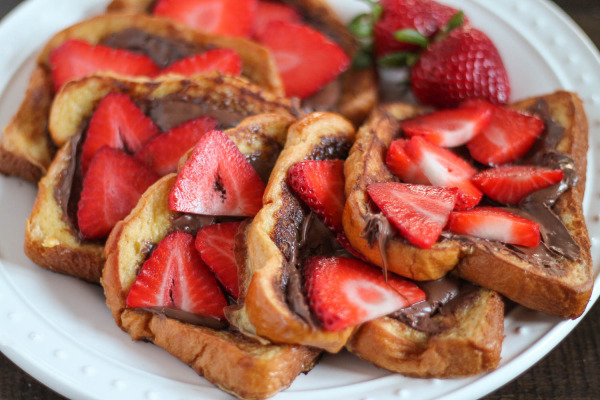 Once all the french toast is ready, spread it with nutella and add strawberries on top. Serve immediately.